When one programs uses multiple threads to accomplish its tasks, it is called multithreading. Multithreading doesn’t guaranties the sequence of execution between threads. Managed thread pool, provides efficient use of threads with a pool of background threads managed by system. Managed thread can be either background or foreground. Differences are listed below. If all the foregrounds are completed, background threads will be automatically closed and application will be closed. By default all applications will have a main foreground thread. Background threads can be created by setting Thread’s IsBackground property to true. By default, a thread will be created as foreground thread. Asp.net and web tools 2012.2 is released and available on the web. We can assign a meaningful name to the thread after creating the thread and before starting the thread. Information about current thread can be obtained using Thread.CurrentThread static property. Thread.CurrentThread returns the Thread Object related to current thread. Thread object gives the following information about the thread. A running thread can be aborted using Thread.Abort method. When we abort a thread, a thread abort exception will be thrown in that thread. We can wait for a thread to complete, but we cannot wait indefinitely sometimes. .Net allows us to wait for a thread to complete just for a while, using Thread.Join method. Thread.Join method, receives a timeout in milliseconds and waits up to that period. If it is still running, it stops waiting and returns false, else returns true. We can make a thread sleep for a specific milliseconds. We can use this for testing the thread and asynchronous programming concepts and also we can use this to wait for a resource. We can wait for a thread to complete using the thread’s Join method. Join method will block the calling thread until the thread completes. Instead of creating a class to pass multiple parameters to a thread, we can use Object arrays to be passed to the method. Constructor of Thread class here, receives the method to be invoked using a delegate called ParameterizedThreadStart which is defined in BCL. 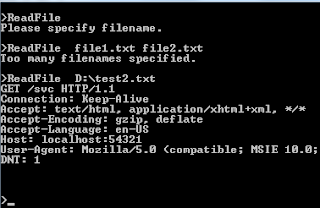 Program in the Sample 00 can be converted to utilize the thread as follows. Constructor of Thread class here, received the method to be invoked using a delegate called ThreadStart which is defined in BCL. Console application by default run in Main thread. During th.Start, runtime creates a new thread and starts the execution of Greet method in that thread. So the line after th.Start will continue to execute while Greet method is being executed in a new thread. Result will vary based on system performance. A Simple program without threading. Above programs calls a static method “Greet” from Main method. The World Wide Web Publishing Service (WWW Service) did not register the URL prefix http://*:80/ for site 1. The site has been disabled. The data field contains the error number. Port 80 is already is in use. 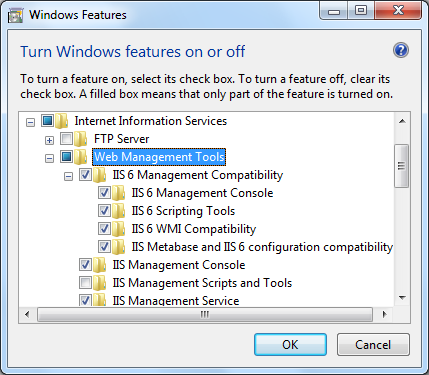 We can change the IIS web site configuration to use another port. Uninstall the program permanently if not required, and start the IIS web site. Unable to create the virtual directory. ASP.NET 2.0 has not been registered on the Web server. Unable to create the virtual directory. ASP.NET 2.0 has not been registered on the Web server. You need to manually configure you Web server for ASP.NET 2.0 in order for your site to run correctly. 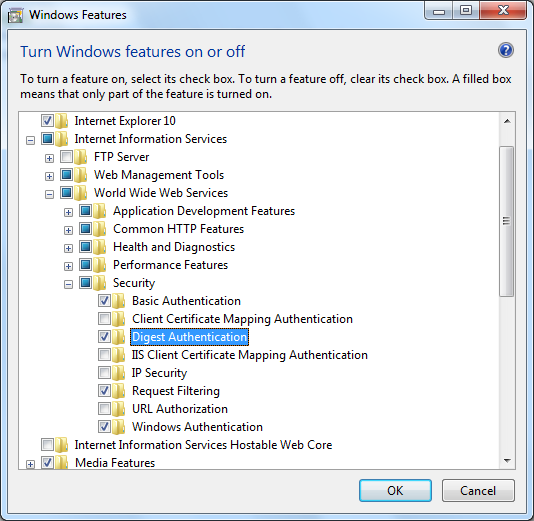 Windows Authentication may not be installed in IIS in some machines, which might be useful debugging and other purposes. 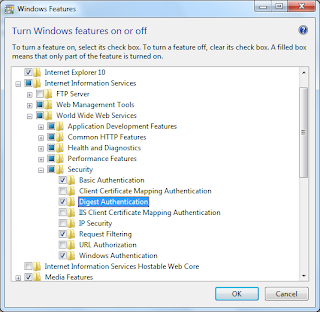 To Install Windows Authentication on IIS, follow the following steps. Click on OK and wait for the installation to complete. If you try to create a virtual directory from Visual Studio, you might get the following exception when you don’t have IIS installed. In addition, you must run Visual Studio in the context of an administrator account. To install IIS, Search for “Turn on or off windows features” in Control Panel. 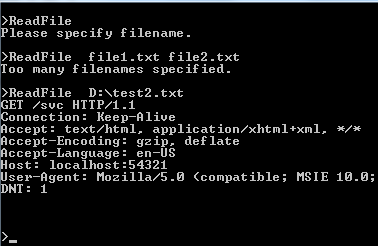 Following source code, contains a simple console application that gets a file name as a command line argument and prints its content in the console. Microsoft has recently unvelied an updated vesion of www.tryfsharp.org. You can try learn fsharp interactively. Attributes are details/data that can be attached to assemblies, types and members. These attributes are specific to some programs/libraries and those libraries will use those attributes to do some processing. For example, if we use XmlAttribute attribute apon a property, that will be writen as attribute in xml while we serialize the containing object using xml serialization. Now a days computers, have multiple cores in its processors, capable of executing multiple programming in parallel. Our code should be written to utilize the available resources to provide high performance processing to our clients. To support this .Net provided many classes written on top of windows low level API. Start a code execution in a new thread and let it complete its work. Start a code execution in a new thread with a method (using delegate) to thread so that the method will call back our method after completion of the program. Start a code execution in a new thread and do some other work and wait for the signal from the thread about the completion of the thread. Methods can be passed to another methods through delegates. is almost similar to method declarations. To use a delegate, we have to associate a method to the delegate instance. Delegates are basically used to invoke a method which is associated to it. .Net automatically adds few methods to it which enables us to invoke the method. Here Invoke(int a, int b) will be added to Calc delegate. There is another simple shortcut for this. A delegate is a class that can hold a reference to a method. A delegate class has a signature, and it can hold references only to methods that match its signature. Base class for all the delegates is Delegate. When we declare a delegate, it implicitly defines a class derived from System.Delegate. It automatically adds few methods that supports method invocations.